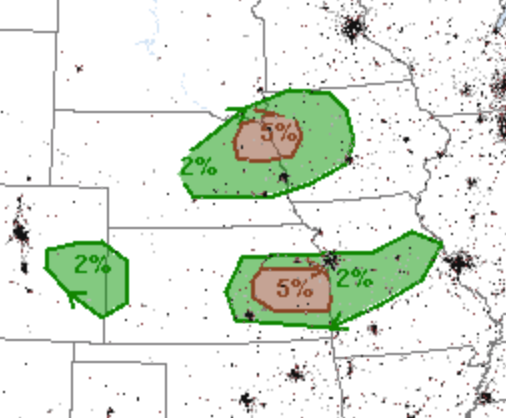 The SPC has two areas of tornado risk this afternoon and evening. One is between Wichita and Kansas City and the second is between Yankton and Omaha. I suggest that people in those areas monitor local media when thunderstorms approach.